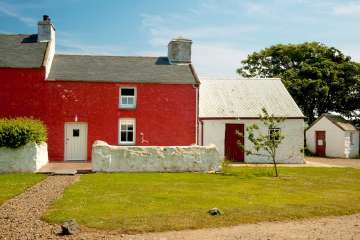 Trehilyn Farmhouse is one of the finest holiday cottages in Wales, a truly luxurious escape on the Pembrokeshire coast. 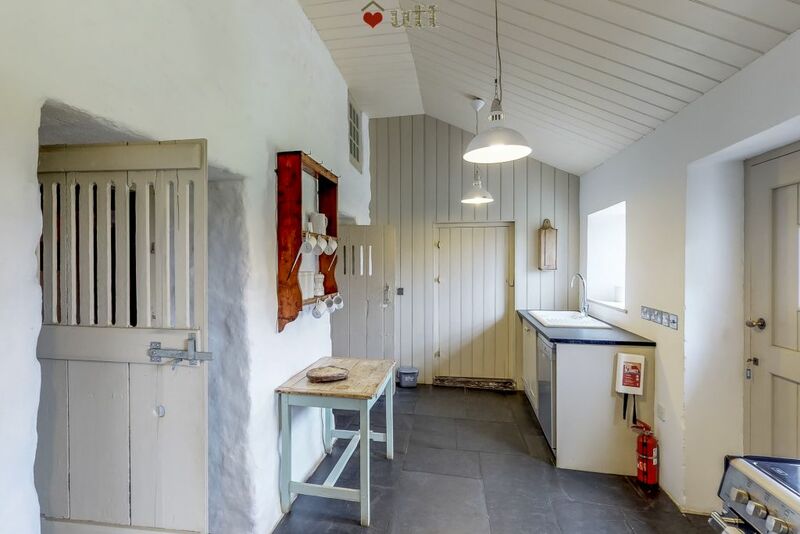 Restored by TV presenter and broadcaster Griff Rhys Jones and family, Trehilyn stands head-and-shoulders above most Welsh holiday cottages in quality, furnishings and interior style. 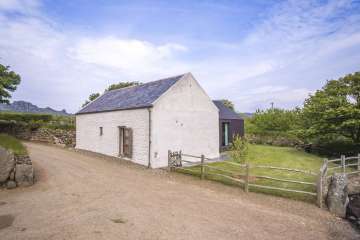 Sleeping 9 people, this is the combined house that can also be let as smaller units (Trehilyn Uchaf and Trehilyn Isaf). 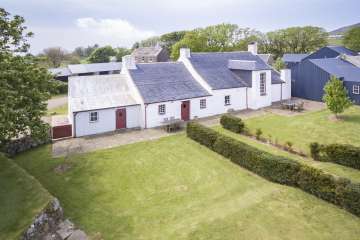 Internal doors are opened making it one house with one large kitchen and plenty of receptions, bathrooms and bedrooms. You'll enjoy an authentic restoration undertaken with sustainability in mind and seventy acres of farmland with fine sea views.The Observer named Trehilyn in their Top 15 Green Places to Stay in the UK (No.7) and the Irish Times reviewer love it too, and Country Life name it as Best in Wales. 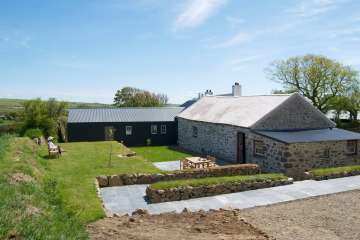 The restoration of this vernacular Pembrokeshire farm was the subject of the BBC TV series 'A Pembrokeshire Farm'. 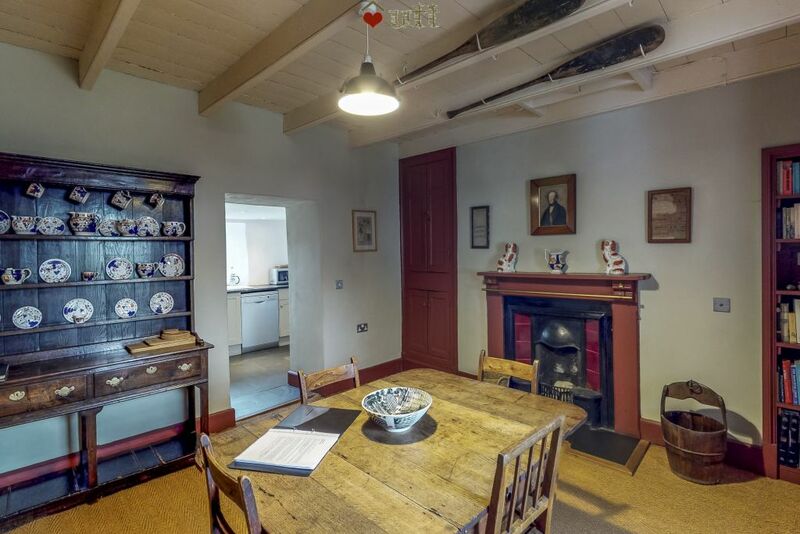 Expect a genuinely stylish, quality interior with real attention to detail. 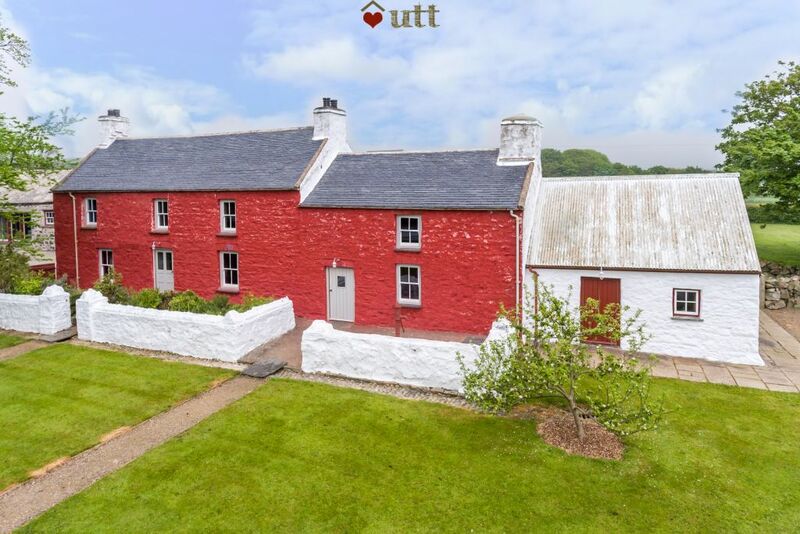 Click to see the views from the farmhouse. 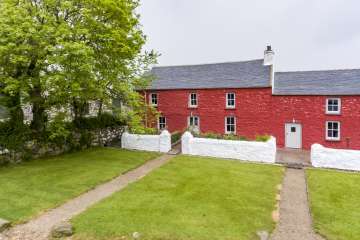 There is a Strumble Shuttle (404) from Fishguard which can be flagged down right outside the property (Google 'Strumble shuttle' for timetables), and there are a few trains a day to Fishguard & Goodwick Station. 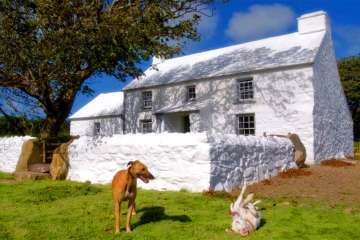 This house is Trehilyn Isaf and Uchaf combined. When you book this, the entire farmhouse, we open an internal door between the kitchens to allow use and circulation as one large property. 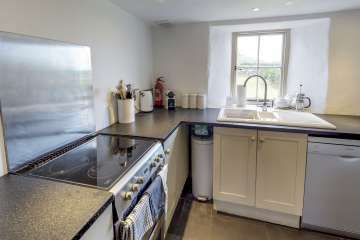 Kitchen 1 - well equipped with excellent quality appliances (Bosch dishwasher, microwave etc). Access to rear gardens - one of four doors to the property (two front, two rear), so you are never far from the wonderful outside space and fields. Good views. Cegin Fach 2 - small contemporary kitchen with Bosch dishwasher, microwave, oven etc. 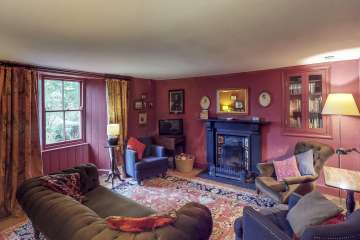 Parlour sitting room with open log fire, Small digital LCD TV & DVD. 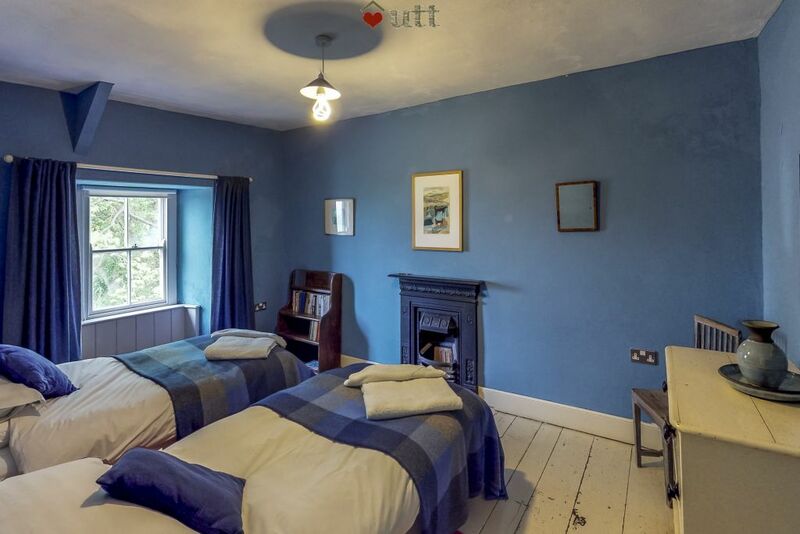 Single bedroom 1: to ground floor, also doubles as study. 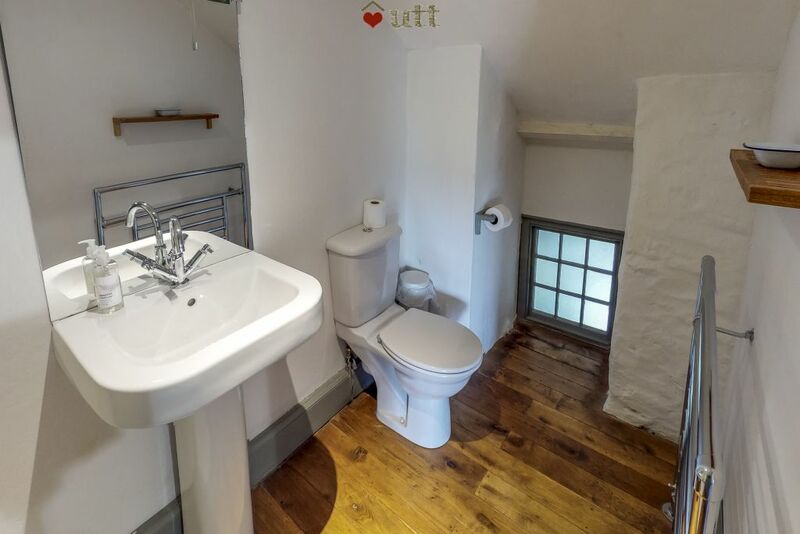 Small shower room and toilet to ground floor. Bathroom and toilet to ground floor (no shower). Bath that fills fast. 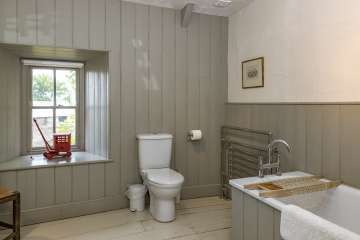 Like most rooms this enjoys views over open fields. 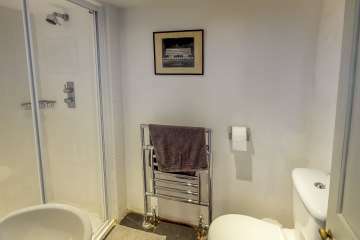 Small 'Utility' area with washing machine and dryer. 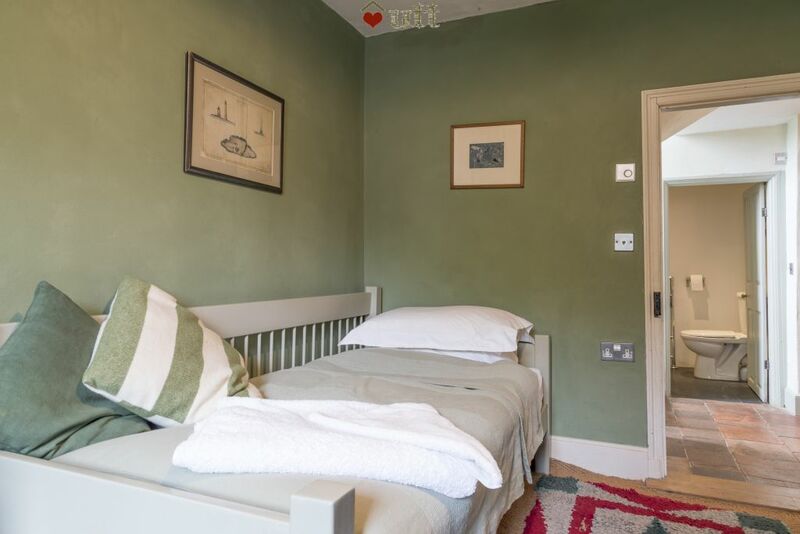 Bedroom 2 - Spacious master bedroom with double bed and attractive coffered ceiling. 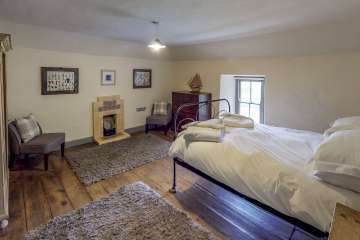 Bedroom 3 - Twin bedroom with Victorian grate. Bedroom 4 (up steep stairs, gated at top), double bed (great mattress) etc with en-suite shower-room off (chrome heated towel rail etc). Large shower cubicle. 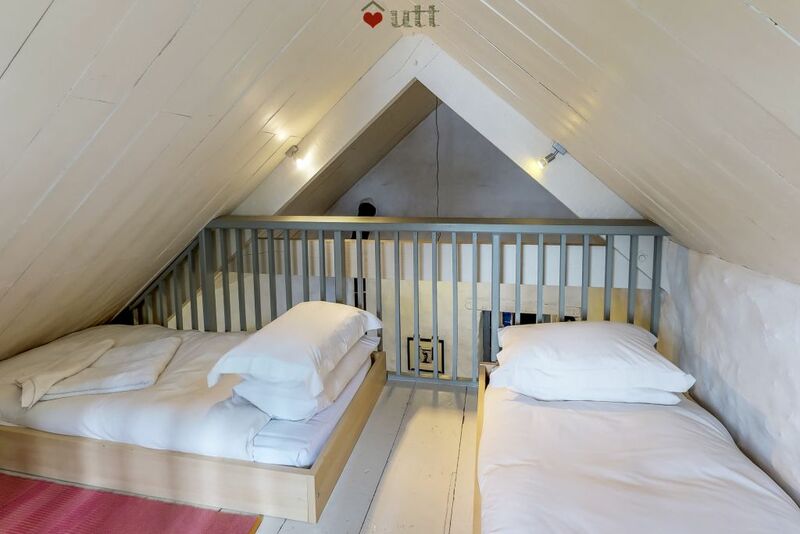 Bedroom 5 Croglofft twin bedroom (up steep stairs, gated at top, low headroom in parts) - best suited to kids, this has two good single beds, and overlooks the main lounge via balcony. Good quality mattresses. 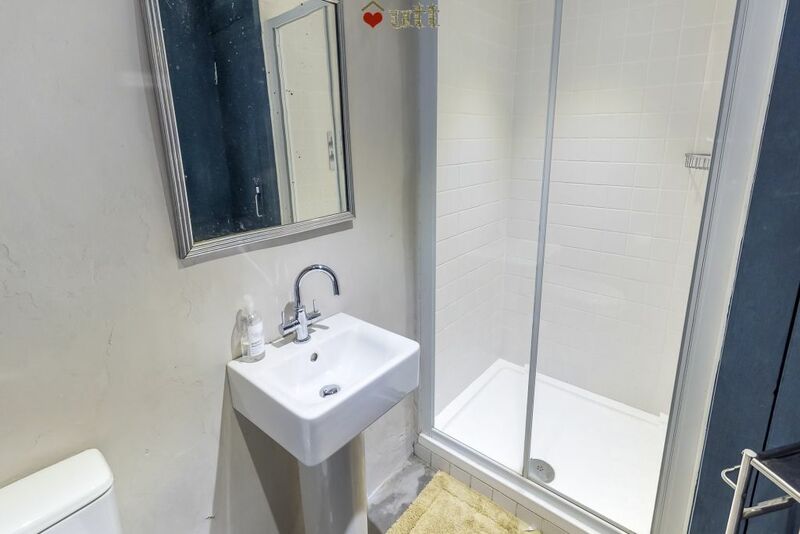 Large family bathroom (converted from what was a double bedroom). Bath. Small utility area with washing machine and dryer to first floor. 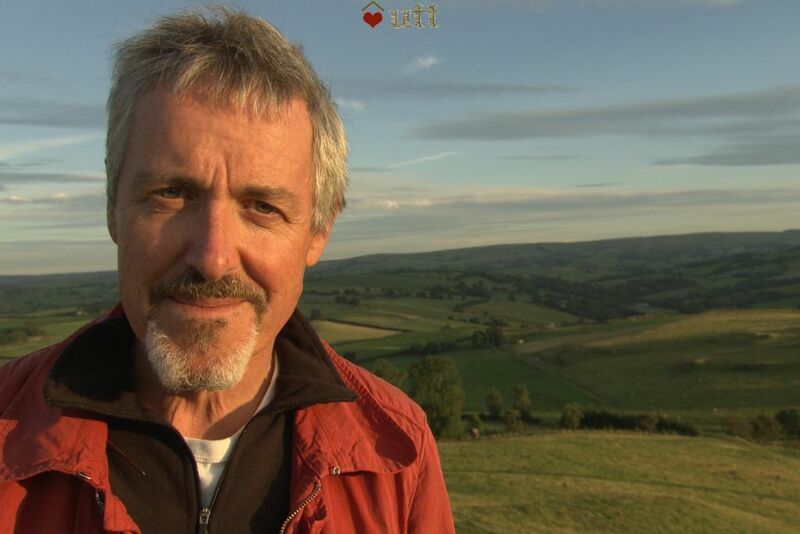 70 acres of farmland (keep dogs on lead around sheep). Nature walk (enclosed from livestock) along stream to far end of the farm and a ruined cottage. 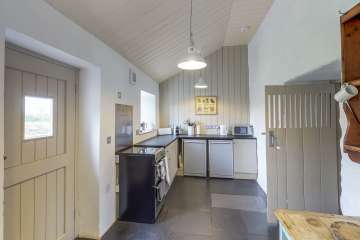 Centrally-heated throughout (Carbon Neutral eco-heating system), with underfloor heating included in price. 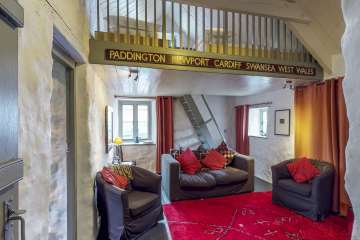 Note that there are steep open-tread stairs up to two of the bedrooms (gated at top). 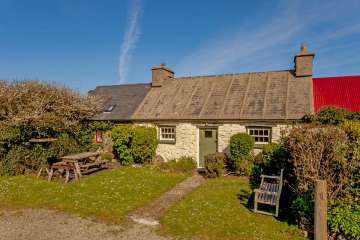 Well-behaved dogs are welcome (surcharges apply) - the Pembrokeshire coastal footpath is nearby and perfect for pooches! 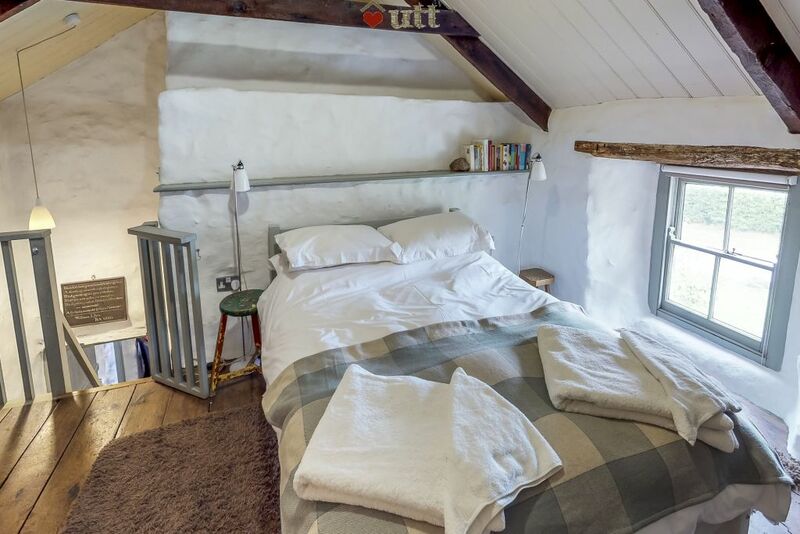 Cot available free of charge but must be requested from the housekeeper directly, after booking and well in advance of arrival as it it shared between properties. Bring own cot bedding. Pencaer/ Strumble Head, Pembrokeshire Coast Nation..
Strumble Head, Pembrokeshire Coast National Park..
Strumble Head, North Pembrokeshire coast..
Strumble Head, Pembrokeshire Coast National Park, ..
just 5 mins walk to the beach! Pembrokeshire coast.. The only negatives where the double beds which are to small for two adults to get a good nights sleep. 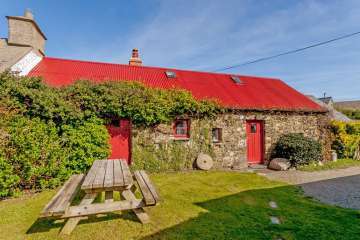 Loved our week here, warm cosy happy holiday with all the family, high quality appliances, fantastic power showers and deep baths. Great having two adjoined kitchens to cook Easter lunch as we had the whole farmhouse. 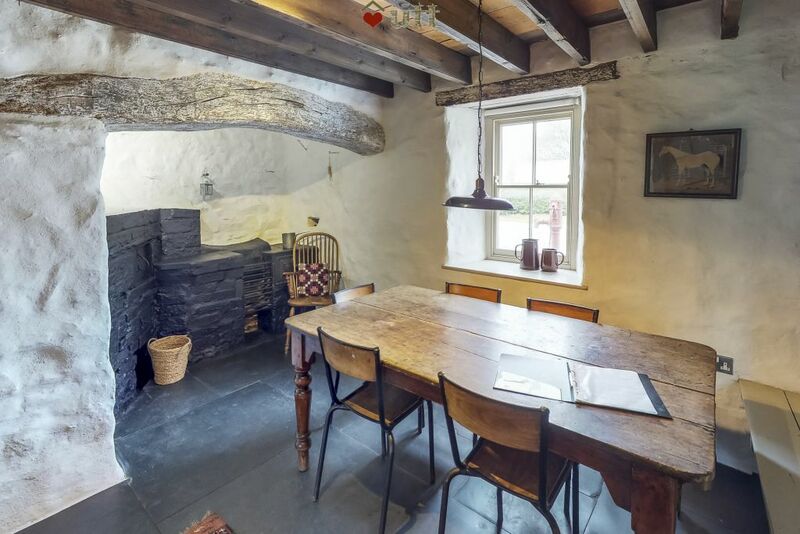 If you are a big party that likes to do a lot of cooking this is a perfect place, 2 dishwashers fridges and feeezers.Walking on the old slabs and tiles warmed by underfloor heating is a joy, and the place was beautifully and restfully decorated. (although I thought the end blue bedroom was the wrong colour) The House was very clean and well equipped. Having a new baby it was great to have 2 washing machines and tumble driers! Lots of books to read and good walks and a beautiful garden. Loved it. My only criticism of this holiday was that I should have booked it for longer! 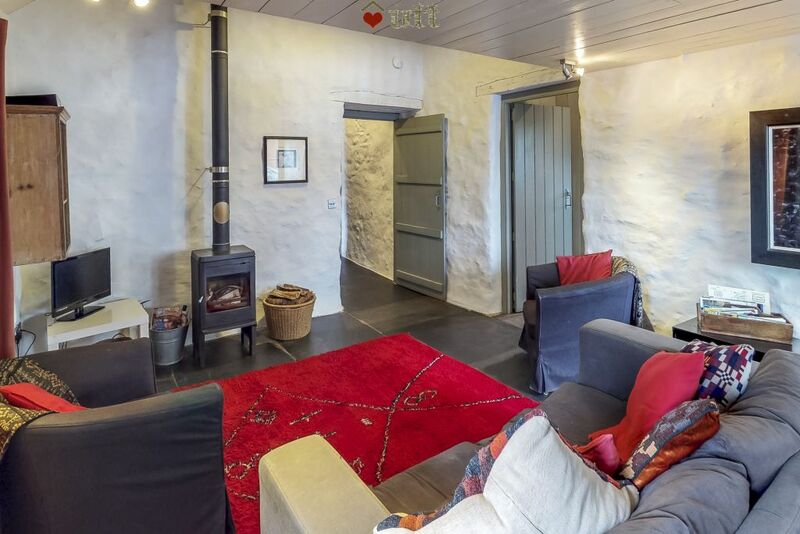 Lovely farmhouse, beautifully restored and very warm and comfortable. The area is fantastic walking country, with well waymarked paths and stunning views. Had a really good relaxing break. 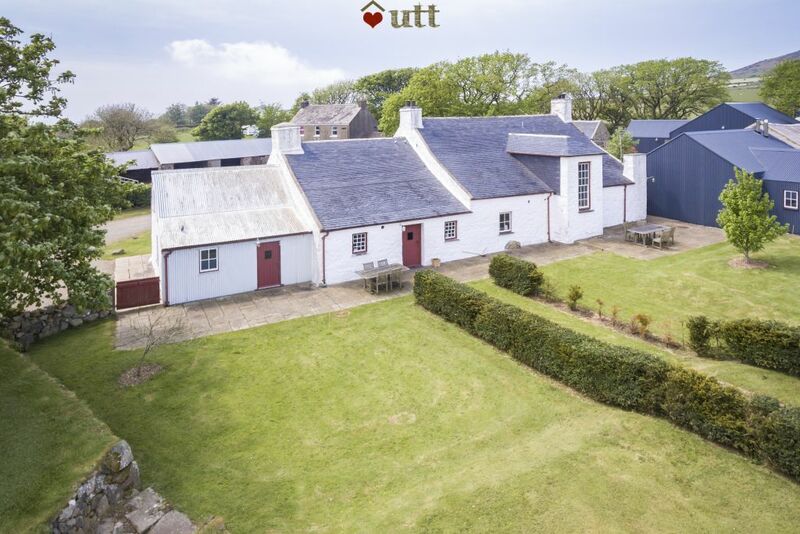 We had an outstanding holiday with UTT - the house was breathtakingly beautiful and everything built to last and of quality - such as power showers hotter and wetter than all others!!! The artwork was exquiste. And Shirley the housekeeper could not have been more helpful or accommodating. The kitchen was adequately equipped with some perfect details, the tennis table room never even got a look-in because we were too busy on the coastal footpath or in the pub! The weather was glorious, the winter season even more romantic at the farmhouse with a fire glowing and stews in the oven. the house is absolutely magical - I will certainly book to visit again. Thank you so much UTT - it is a holiday that we will always remember.